1. 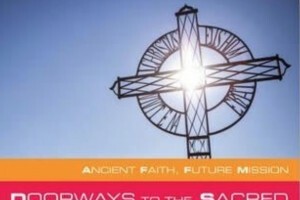 Called to live it not just talk about the Christian faith: Why is NM Important? So in this next series of posts, I want to engage with the question ‘why is new monasticism important’? Particularly when thinking about the state of the Church and the World and especially when thinking about Mission and Evangelism. 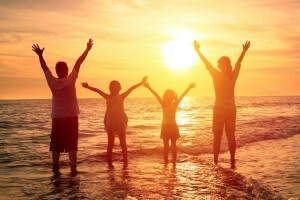 The greatest problem I think – is that people aren’t really living it and following the Christian faith – in that, we are called to live it out profoundly impacting our daily lives. I think that in our current post-secular culture we are carrying the consequences of the violence to the faith as a consequence of modernity (period of time after pre-modernity impacting Europe from around the 15th Century onwards) and what has unhelpfully been called the ‘enlightenment’ when everything in culture was defined in relation to ‘truth’ as understood as the scientific method. Here faith then came about ‘thinking’ and ‘reason’ and ‘argument’ so that the more experiential and the essence of Christianity became a way of life modelled on following Jesus went into the background. So even today – when people come to proclaim faith – or as in the Church of England more likely confirmation – then it is all about what you believe rather than how you live transformed by attempting to follow Jesus. I think today Christianity has been largely commodified and now becoming or being Christian is relating to attending a worship service once a week and to do some form of 12-week induction course. This seriously impoverishes the Christian faith and has limited depth. Unsurprisingly people are giving up on this commodified Christianity because it does not deeply resource you in the complexity of the modern world. Instead what we need are examples of forms of the Christian Community that live out the Christian faith in depth – as a witness to the reality of God. 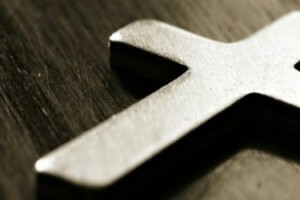 Not because they are in anyway special – but more because real Christianity does not make sense if it is not LIVED. 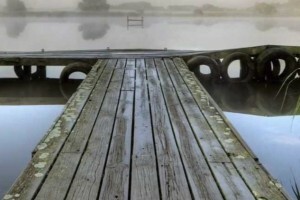 This is why I believe so strongly in New Monasticism as a model of small missional communities, a form of fresh expression of Church, because it is one of the ways to focus on living the faith – not just talking about it – with a commitment to ‘prayerful or contemplative action’, to live a Rhythm of Life as a Community, where the focus then is on the New Commandment of Jesus – To Live God, learn to love ourselves to be able to love others and our neighbour. It is a form of missional community of ordinary people seeking to live counter-culturally and with a sense that none of life makes any sense if it is not about the context of a life following Jesus. So my first argument here – is that we need profound Christian communities – living out the faith and not just talking about it – not getting sucked into institutionalised and stale expressions of the Church which have no life and too focused on thinking. And I believe that New Monasticism seeks to be this type of community because mission can’t be about beautiful media with beautiful people with glossy brochures and being cool – it is about the tough call to surrender to God your life, and to seek to follow a rhythm of life of prayer, of service, of study and of action – particularly as Jesus commanded – the poor and the stranger. 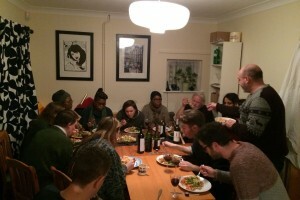 So if the Church is going to be effective in mission – we need living examples of doing this well – like Taize, the Northumbria Community and in many ways my own little New Monastic Community – the Wellspring Community in Peckham. If there are no expressions of communities of deep faith – what then is mission and evangelism for? It can’t perpetuate the lie of a consumptive spiritual individualst journey that is numbing and I think ultimately does not take you to the depth of Jesus – real mission and evangelism has to occur for me on the back of examples of real Christianity being lived out profoundly as an example – to stand up to all the negative steriotypes of the Church, and to be an example of real Christianity in the eyes of some form of Conservative expressions of the Church which seem to have very little to do with Jesus’ example and teachings in the Gospels. This is my hope … mission and evangelism make no sense if no one is really living the Christian faith in community by example. In this podcast Ian Mobsby explores the differences between attractional models of Church with apostolic models and the importance of seeking God through the story and needs of people in the local context. This was recorded at the 4th Anglo-Catholic Symposium on 23rd November 2016 in the Woolwich Episcopal Area of the Diocese of Southwark. Following the success of the convention weekend, please find below some of the outcomes and resources coming out of the 14-16th October 2016. The results from the questionnaire completed by attendees of the Convention can be found here. Address from Phil Potter, Archbishop’s Missioner & Lead for Fresh Expressions & Bp Jonathan Clark, the Bp of Croydon. Address from Phil Potter, Archbishops Missioner, philpotteraddress and link to Facebook Group that includes Video Recordings from Bp Jonathan Clark, the Facilitators reflections and the prayer and some of the times of prayer and worship sessions here. 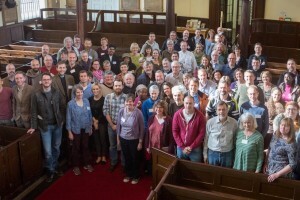 This weekend gathering in Southwark South London from Friday 14 to Sunday 16th October, is the first gathering of those involved in new monastic communities with some relationship to the Anglican and the Church of Scotland – coming from Wales, Scotland, Ireland, USA and England. The event has been facilitated by the working group of the New Monastic Network UK. Over the last couple of years, sponsored by the charitable group Anglican Religous Communities (ARC) have sponsored dialogue between the leaders of emerging and traditional religious communities. It was Archbishop Justin’s Chaplain Jo Bailey-Wells, now the Bishop of Dorking encouraged the need for a gathering for new monastics to talk to new monastics. So at the weekend 90 representatives will engage in dialogue from communities such as the St Anselm Community in Lambeth Palace, the Iona and Northumbria Communities, as well as those small missional communities such as the St Lukes Community Peckham. Further, a number of people interested in starting new monastic communities will spend some time reflecting on what, how and why this can be done. We are very pleased that Phil Potter, the Archbishop’s Missioner and Leader for Fresh Expressions will be joining us on the Saturday, and Bishop Jonathan Clark, the Bishop of Croydon will be joining us on the Sunday. This has been a dream coming together, and we look forward to catching up with what God is doing through this first gathering in the UK. 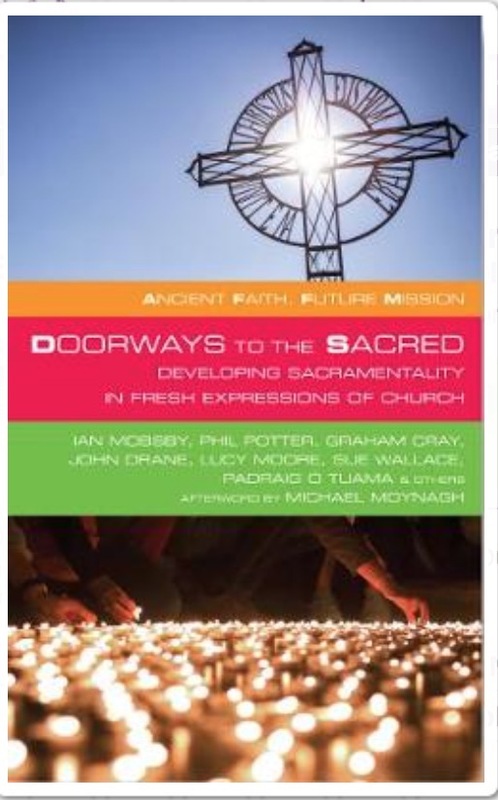 In this podcast Ian Mobsby explores recent research that suggests that anglican catholic ordinands, deacons and priests are loosing the founding vision of this tradition in apostolic mission in the context of the challenge of contemporary 21st-century society. This paper seeks to reconnection confidence in the tradition with radical apostolic mission that is prepared to engage with adequate listening of the context, and the emerging spiritual tribes. One of the great problems at the moment, is that the Christian Church has a polarised debate on understanding human sexuality. The Church for centuries has had a dis-ease with the human body as a source of sin and sexual immorality, rather than made in the image of God if we trust the writings of the Hebrew Scriptures of the bible. This problem has largely been the achilles heal of the Church because of the heresy of gnosticism that haunts the church, which saw all flesh as evil, as something we should escape from. What we need is a better theology of human sexuality, and that there is a difference between sexual identity and sexual behaviour. I therefore post this important paper which I think gives an important broad background and deals with the contention of the interpretation of certain biblical texts. The Church needs to stop calling this issues around doctrine and the creeds, or heresy, and engage with the fact that we are taking about issues of biblical interpretation. Then I hope drawing on texts like this we can draw on a sense of unity in diversity rather than the damaging debate where the two sides try to out-bible each other, and can’t accept that maybe we need to get to a place to politely disagree BUT remain brothers and sisters in Christ, therefore a model of the Church to hold into a unity in diversity rather than unity in conformity. See the link below. Great to see an article on St Luke’s being a mixed economy missional parish on the national UK Fresh Expressions website. To read the article click here. 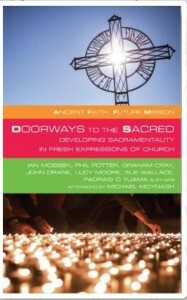 The article emphasises the important breadth of a parish looking at the needs of different groups of people. We are seeking a proficient artist who is interested in getting involved with a parish church in transition to becoming a mixed economy of church with a number of fresh expressions initiatives. We are seeking an artist to get involved in our nascent new monastic community with its gatherings on Tuesday eventing’s, Sunday evening service and other gatherings. With the Photographer in residence we are seeking an artist to explore contemporary iconography to use in worship and mission, as well as creating content for exhibitions and events. In exchange for this the Church is offering a substantial studio space with separate office space to join in with an emerging new church team. 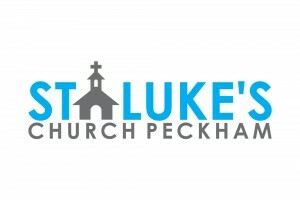 For more information do see the Church Facebook Page and website currently being redesigned at www.stlukespeckham.co.uk and/or speak to Ian Mobsby our Mission Priest or Marc Gascoigne the Photographer in residence. 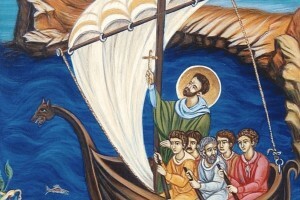 St Brendan was an early Christian pioneer from Ireland, who contributed to the re-evangelisation of the United Kingdom from Ireland in the Saxon Period. He is known as Brendan the Navigator, and I think he has a part to play in our shared sense of vocation to pioneering. Please hear, that I am one of those type of Christians who bulks slightly at the 19th Century romanticism of ‘Celtic Christianity’, but do honour the importance of key figures like Brendan. Whilst on a retreat with the Northumbria Community, (which was a crucial time for me after I stopped a few weeks ago of being the Leader of the Moot Community, and before I and a few mooters move to Peckham to set up a new monastic community and serve the needs of the Parish of St Luke’s North Peckham), the figure of Brendan was an important source for encouragement. The sea in early Christian writings, reflected the space like the desert for the desert mothers and fathers. It is dangerous, wild, uncertain, unpredictable, and life threatening. But facing the desert and the sea, is about discipleship, where they act as a metaphor for the spiritual journey of life. I like many others have got older, now 47, so pioneering seems to get harder, taking risks, as you get older. So I have had a lot of fears about starting out again, partly because pioneering has cost me a lot emotionally and financially let alone socially and personally. But Brendan and the creative writing around his vocation, really helped me to focus on what God was calling me into next, and to find peace in uncertainty. Christ of the mysteries, can I trust you? to be stronger that each storm in me? Do I still yearn for Your glory in lighten on me? I will show others the care You have shown me. I determine amidst all uncertainty always to trust. If only I trust You, and obey. that my times are still in Your hands. chapter by chapter, until all the story is written. my attention always on You without alteration. 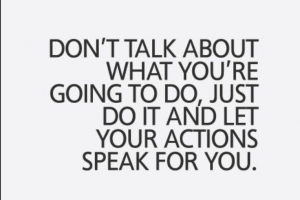 and appoint to me the task. make my obedience count for You.